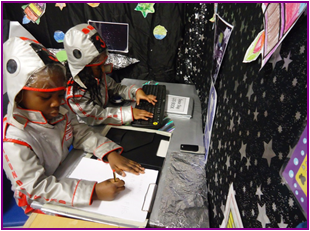 Creativity is woven into all areas of the curriculum at Kingsmead, offering children many opportunities to explore, experiment and express themselves. Creativity promotes critical and analytical thinking, empowers students, develops self-esteem, and forges connections between the different subjects at school, and between school life and the wider world. Becoming creative thinkers enables young people to think and act independently and encourages entrepreneurial and innovative thinking, skills which are increasingly important in a competitive and changing world. We strongly believe in using the arts to engage the student voice and nuture talent and leadership opportunities for pupils. And it’s fun - an essential part of being young, too! At Kingsmead everyone is encouraged to develop a lifelong love of the Arts and to further enrich the curriculum, we organise a variety of visiting artists and performers who offer a range of skills and opportunities. 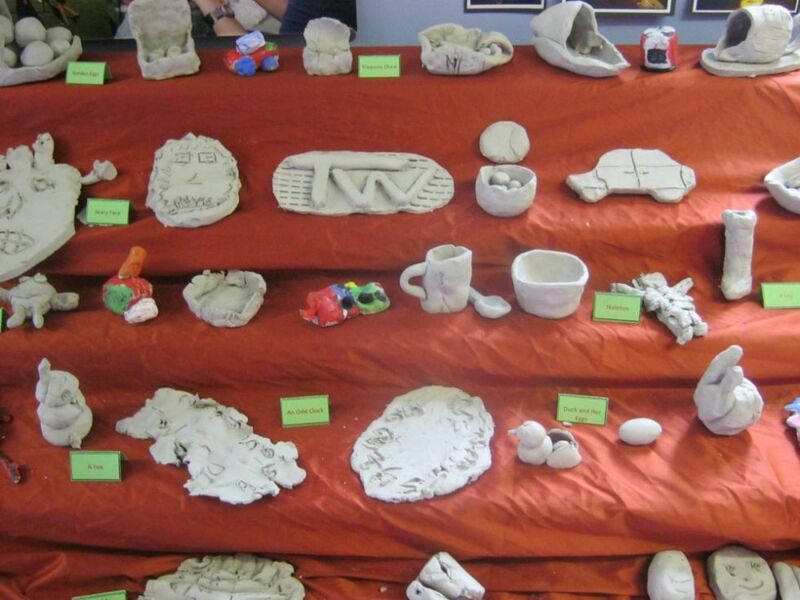 We involve our local community in creative projects on many occasions during the year. Artworks created by our pupils, were chosen to decorate the athletes village at the Olympics in 2012, and we have been awarded Artsmark Gold in two consecutive rounds of application (once in 2009 and again in 2013). The amazing My Hackney project, which we worked on with our partner school Gayhurst Community School, is a recent example of a highly successful creative project, involving a huge collaboration of artists, students and parents & carers who came together to explore what it means to live in Hackney and ideas about British values, culminating in a large installation at the Round Chapel in Hackney. 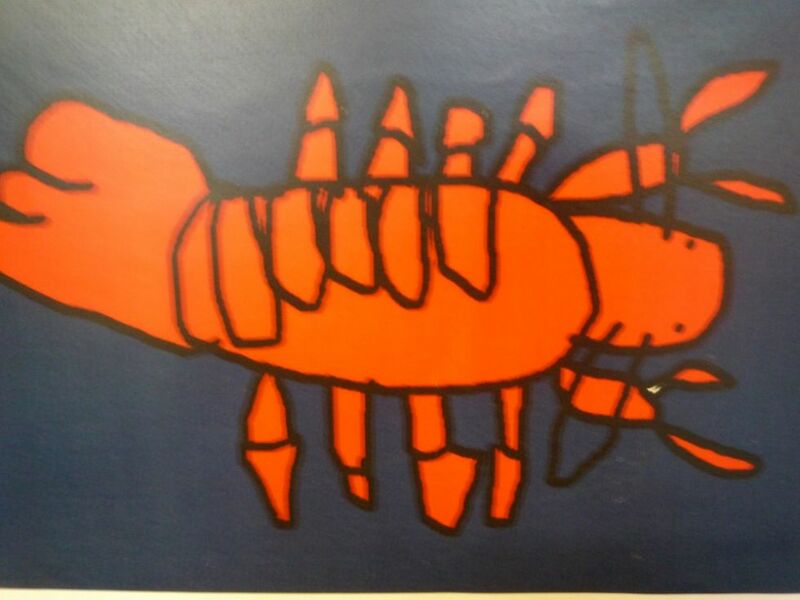 Visual Art lessons within the classroom give children the opportunity to develop their skills in drawing, painting, collage, printing, textiles and 3D construction. 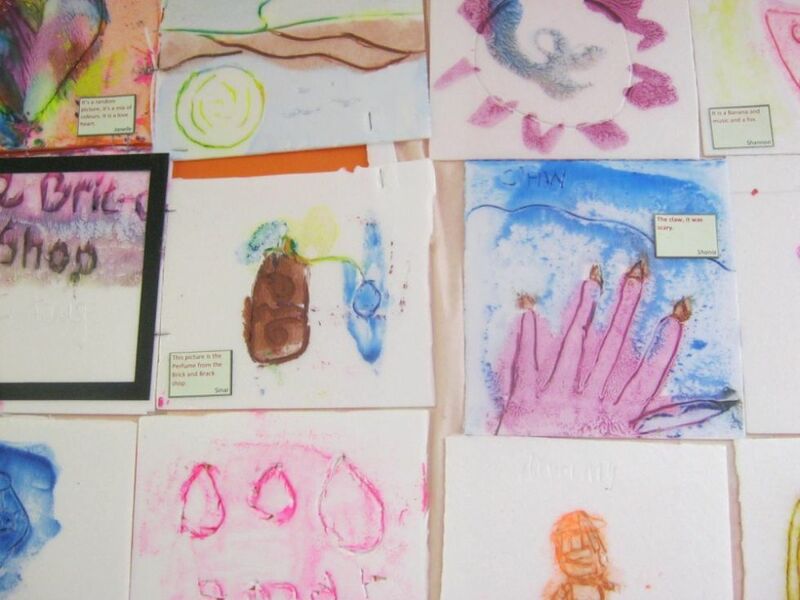 We have many visiting artists from the local community and further afield to run projects. We have had both a photographer and a poet in residence, working on special projects with our children. One such example were the Kingsmead Eyes and Kingsmead Eyes Speak projects that attracted national and international recognition and praise (which can be viewed on this link.). We have also taken part in 2 whole school art projects with the inspiring immersive theatre company Punchdrunk. We give additional teaching time to the Arts during lunch-times and after school and hold a Creativity Week every year, where the whole school takes part in the Take One Picture project. 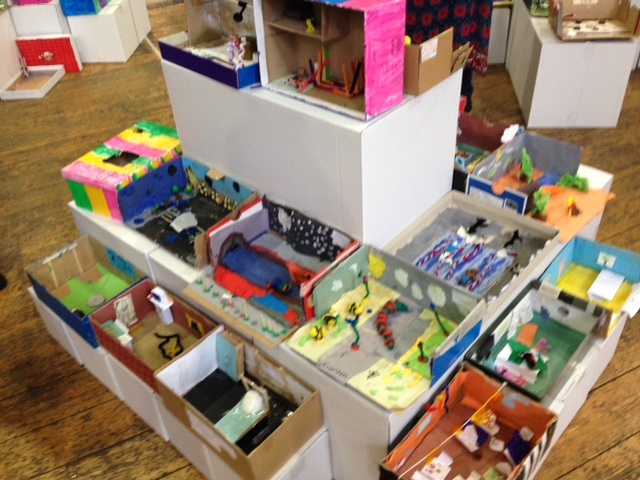 You can see the short film made about our 2015 Creativity Week on the Hackney Teachings Schools’ Alliance website by clicking here (which the National Gallery requested to feature on their Take One Picture website). To find out more about the Take One Picture project and work created by our children for this project over the years click here. Singing Assemblies - Weekly singing assemblies are held for all children, during which a range of songs from around the world are learnt for the school to sing together and also to celebrate a range of RE festivals. African Drumming - Every year group, from Reception class to Year 6, receives weekly African drumming tuition from a specialist teacher. Ukulele - All children in Year 3 receive weekly Ukulele lessons throughout the year. Keyboards and Guitar - Interested and able pupils from years 4, 5 & 6 receive small group keyboard and guitar lessons from specialist teachers on a weekly basis. Steel Pans - A large number of children from years 4, 5 & 6 receive weekly Steel Pan lessons from a specialist teacher and regularly get the opportunity to perform during assemblies and at special events. Our Steel Pans players have performed at The Tower of London as part of the Water City festival and at The Hackney Empire as well as for local community organisations. School Choir - Children from years 3, 4, 5 & 6 are also able to join the School Choir, which runs as an after school club and perform at special events. Individual musicians and groups of musicians regularly visit the school to perform in assemblies and at special events. Every July, the Hackney Music Festival takes place and Kingsmead children perform in the Junior, Infant and Early Years Singing Concerts. Many of our drummers and dancers perform at the Hackney Dance Festival. We are very lucky to have a long established relationship with our specialist dance teacher who works closely with the African Drumming teacher, teaching the children dances and songs from around the world. These weekly dance lessons, which the children learn alongside African drumming, expose them to rhythms and dances from across the world. 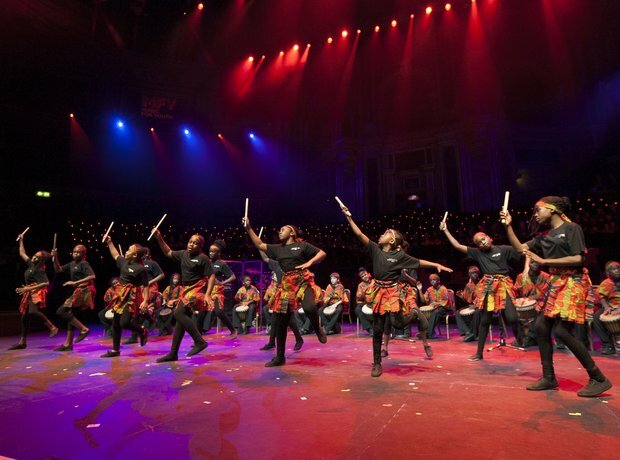 Our talented group of drummers and dancers - The Dynamix - were selected to perform at the School Proms at The Royal Albert Hall in 2012 - see the news story written about their performance here. They also performed to an audience of hundreds of music professionals at City Hall for the Mayor's Music summitt in 2016. As performing artists in music, drama, dance, slamming and beat box, our children have performed all over London for a huge range of audiences from the prime minister to the shoppers at Tesco's. Drama is encouraged and incorporated into lessons reaching across the curriculum, from role-playing different historical situations within foundation subject lessons, to ‘hot-seating’ characters from texts, and ‘storyboarding’ through drama to try out creative writing ideas in literacy. The children enjoy these moments, free to express themselves in a different way, while the teachers can witness the benefits as children’s confidence and speaking and listening skills are enhanced. Furthermore, their ability to empathise is increased, thus facilitating more powerful and convincing writing as a result. Weekly class assemblies are another chance for children to shine in often ambitious productions that showcase the children’s learning across the curriculum. Parents and carers are invited to be the audience and are always entertained. 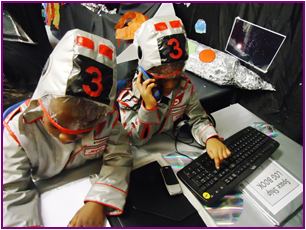 Classes in Key Stage Two often write their own scripts and devise their own sound effects and dance moves, so it is a collaborative and empowering process where every child has a role to play. Our ambitious Year 1 Nativity performance is always a spectacular event loved by the whole school and very well attended by parents and carers. 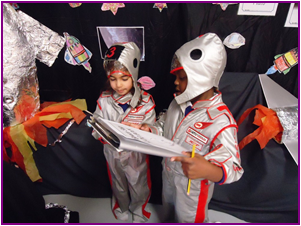 Every term we hold a child-led showcase which is performed to the whole school. Children carry out auditions in their classes and performers/artists are selected by the children, to represent their class. This is always a hugely enjoyable event and the children take great pride in rehearsing and collaborating with class members for their performances. Design technology at Kingsmead is taught through our topics ensuring children make cross curricular links within their learning. 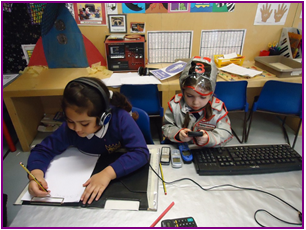 From the Early Years, Kingsmead children enjoy a range of designing and building activities including junk modelling and making musical instruments from everyday objects. This recycling of materials is continued throughout the school. We regularly collaborate on projects with EcoActive, a local educational charity who promote sustainability and environmental awareness. Food technology (cooking skills and learning about where food comes from) is another main focus for the new DT curriculum for which we have separate resources and equipment and 2 trained members of staff who regularly take out groups of children to explore cooking and food. We have in recent years, collaborated with a local farmer to run The Bread and Butter project, a whole school event where children learnt everything about where the ingredients of bread and butter come from, including growing and harvesting their own wheat, making flour, baking bread, milking a cow themselves and making butter (see photos here).